Chic New Ways to Hit Your Step Goal. 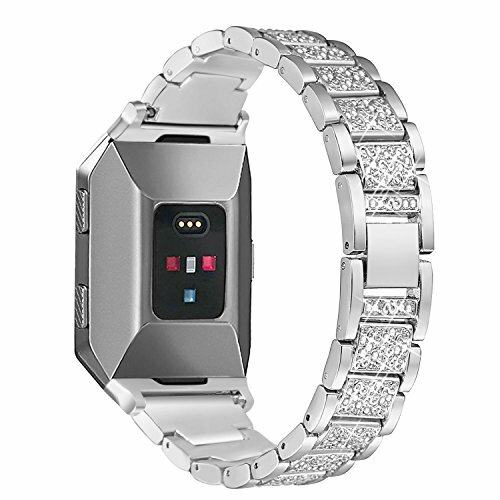 Ideal band to elevate the look of fitbit ionic for work and dressy occasions. Folding clasp design. Easy to put on and take off. Comes with a tool to resize the band, ensuring a perfect fit. NOTE: Be sure the pin is not blocked by the slot edge on the tool and the needle stays in the hole.